The U.S. Department of Labor (DOL) announced a new, proposed federal overtime rule that would increase the white-collar salary threshold for exempt executive, administrative and professional employees from $23,660 to $35,308 per year. More than a million more American workers will become eligible for overtime under the Fair Labor Standards Act (FLSA). California’s current minimum annual salary threshold would still be higher than the proposed federal threshold. However, employers with employees in other states will want to pay attention to this proposal and may wish to submit comments to the DOL. The 60-day comment period has begun! Written comments will be accepted through May 21, 2019. You may submit comments electronically or through the mail but choose only one method. 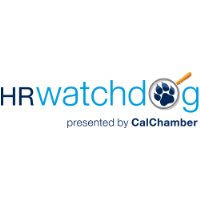 Stay tuned to HRWatchdog for more updates on this issue. CalChamber members can use the California Minimum Wage and California Minimum Salary Thresholds Through 2023 to view the minimum salary thresholds that must be met under California law. Not a member? See what CalChamber can do for you.